A new dispensation? A distraction from bad press? An excuse for Wendy to go globetrotting? Why should you want to know? Same garbage -- Mormon style. Wendy & Tammy both look like retired whores. I can't wait for the exciting reports from abroad. Maybe a new revelation will come out of this? Maybe an additional testimony meeting is in the offing? More loyalty oaths? More putting gays in their place? Maybe some new schedule change that no one but the big guy upstairs could think of? These possibilities almost make me forget the suffering in the world that the big guy seems to be ignoring, in his mercy. 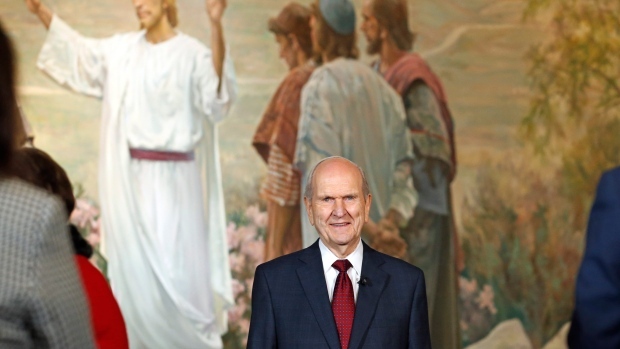 Russell M. Nelson has seen Jesus Christ in full living color! That reminds me of an old joke about two guys out fishing. One guys says "I think I am going to divorce my wife." 1st guy replies "She doesn't talk to me anymore." After a while the second guy says "You might want to rethink the divorce, women like that are hard to find." This might be the chance for President Nelson to give Wendy a grand honeymoon by the world tour. It would be especially nice if they could stay overnight in the Taj Mahal and perhaps preside over a session at the Angkor Wat Temple. Perhaps they could visit the capital city on the Comoros Islands. 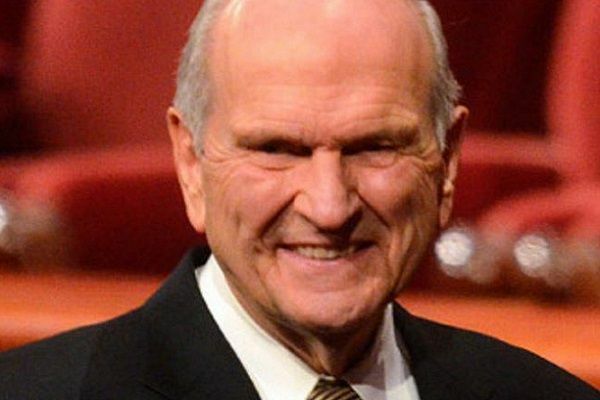 With such an important dignitary visiting the capital, the mayor might even award President Nelson with the Grand Key (Kae-e-vanrash in Comoran) to the city. Talk about lore friendly. I'm a liar for the Lord and having a marvelous time. Betting my second best peepstone that Sheri ends up on the tour. According to a DN message on my feed this morning..everyone is on their way home due the the Syrian missile strikes last night. Darn. I thought the new prophet would command those missiles to turn into Books of Mormon to rain down upon the golden prospects on the battlefield. JERUSALEM, Israel — Hours after the United States Armed Forces ordered a strike on Syria, President Russell M. Nelson cut short his stay in Jerusalem, leaving the central location of his Global Ministry Tour following conference sessions at the BYU Jerusalem Center. At a time of rising tensions, the message of The Church of Jesus Christ of Latter-day Saints is more important than ever, he said Saturday morning from the Holy City. It’s like he didn’t see it coming...and doesn’t trust his level of divine protection. They don't have that kind of courage that left the students/missionaries behind. The importance of the message is exceeded only by the importance of the messenger. Shoot...hope I am not the messenger you are speaking of..